Land Surveyors MD | Development & Planning Maryland | RTF Associates, Inc. The Surveyors at RTF can help avoid potential issues on your property before they become a problem. 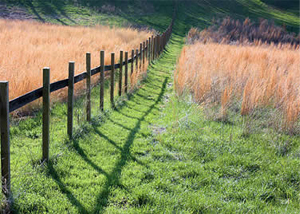 Before installing that new fence, landscaping or new residential construction, let the Surveyors at RTF stakeout your property lines and take advantage of our 40+ years experience in Maryland. RTF can perform a full Boundary Survey quickly and efficiently. If you are a new home buyer OR ready to sell, make the smart decision and find out exactly where your property lines are and verify any possible encroachments. RTF Associates, Inc. is a locally owned and operated land surveying and planning firm in historic Westminster, Maryland. Since 1972, the land surveyors at RTF have demonstrated their reliability and consistency by offering full service Land Surveys, Boundary Surveys, Planning and Land Development for Carroll, Baltimore, Frederick and Howard Counties. We are the Land Surveyors Maryland homeowners and businesses have come to know and trust. Our clientele includes a wide range of individuals from property owners to farmers, developers to attorneys, real estate/title firms to contractors and local municipalities. With over 38 years of experience as land surveyors, RTF has built one of the largest archives for Carroll County. Our archives will help ensure projects are completed correctly and efficiently. Need a land surveyor in Baltimore? Maryland based RTF uses advanced technologies to make the process easier by cross-referencing a nearby job from nearly 4 decades of archives. With the help of our educated personnel and many years of experience, we have successfully surveyed over 30% of Carroll County. 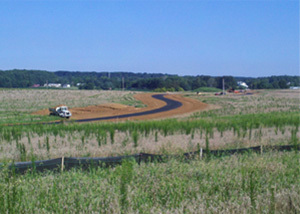 With an A+ BBB Rating, if you border or live in Carroll County, RTF is the surveying firm for you. Continue our successful and professional ways of doing business using ethical business practices. Continue to build and maintain long-term relationships with our clients and provide the best customer service. Maximize production levels through up to date technologies and experience. Continue to take pride in putting our clients first and always making decisions in the best interest of our client. 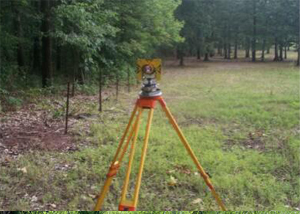 Our vision is to be the most knowledgeable and professional land surveyors possible, through the use of modern technology and old-fashioned business practices. We aim to create the best land development experience for all types of clientele. We will succeed by continuously improving performance and strengthening the loyalty of our constituents.